If you are looking for used engine parts for your vehicle, look no further than UNeedAPart.com! Just fill out our Part Requester form with the engine parts you need and our fast and free locator service will search a giant database of over 7,000 parts dealers across the country. In a matter of minutes, you will be on your way to finding the used engine parts you need without ever having to search aimlessly. Our nationwide network of auto salvage yards, junk yards, auto recyclers and auto wreckers gives you the peace of mind in knowing that if one supplier does not have the automotive engine parts you need in stock, another one will. Our locator service also offers comparison-shopping complete with instant price quotes from multiple part suppliers along with their contact information sent directly to your email in a matter of minutes. 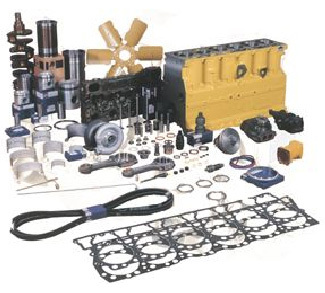 UNeedAPart.com is your one-stop source for the used engine parts you need! To find used engine parts, please select the year and make of your vehicle from the drop-down menu above and click Next Step.